While E3 has always been about heavy hitters, every year there are some indie games that catch my eye. 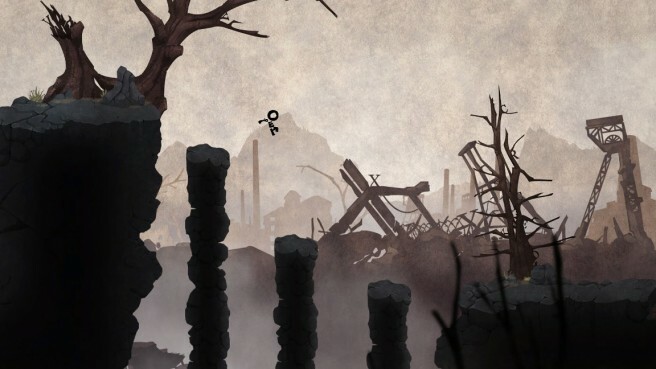 I’m a sucker for some of these abstract titles, so I definitely had to have my hands on Typoman, a sidescrolling action puzzle game brought to us by German developer Brainseed Factory. 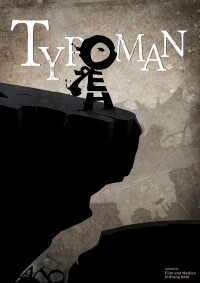 While it’s tough to really call the art style unique, the world in Typoman is a dark one that our hero is trapped in. The game uses puns and scrabble in combination with basic platforming as its main gameplay mechanic. Heck, the hero is a play on the word, “hero,” as the game starts with him being the letter O, stretching out the letters E, H, and R to form his body. The demo we played was pretty linear and simple. Moving around is done with the left analog stick, you use the B button to jump, and the ZR button is used to perform an action. 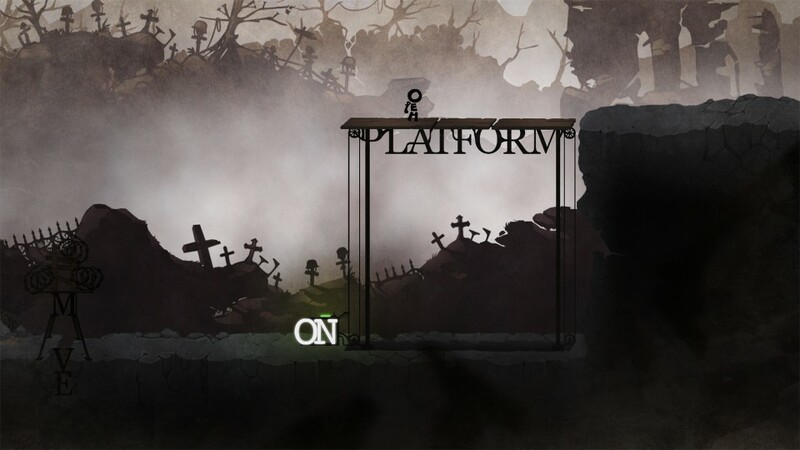 Aside from the simple platforming, the actions done include pushing and pulling, along with grabbing and swinging on letters to solve various puzzles. The first of which was pushing the letter O next to the letter N to create the word “on,” which activated a mechanism to raise a nearby platform (shown above). To go along with the dark world inevitably came some evil as we came across the word “hate” which turned into an enemy we had to avoid as there was no real way to fight it. Everything in the demo was pretty straightforward, but that didn’t mean we didn’t come across some confusing puzzles along the way. Eventually I came to a thwomp-like smasher that wouldn’t stop smashing, and I had no idea what I was doing. There were some letters on the ground, but I didn’t know what to do with them. It wasn’t until I scrabbled around these letters to mistakenly create the word “slow” did I progress, and before I knew it, the smasher slowed down and the stress was over. Typoman is shaping up to be quite the interesting title, and it’s something to definitely keep your eye on when it comes out this fall. If you’re not at E3, you can still enjoy the demo this week by picking it up free on the Wii U eShop this week only.